form, I could only ponder whether or not it would be wisest just to flee. some method of her own enchantment I never dared to question. selective about it, lest it aggravate her insanity further. “I wasn’t aware they had installed a piano,” I shuttered as I recalled our little incident last week. she wasn't plugging her ears the whole time. the values of even the wisest philosophers. “So only a few of us live our own lives, then?” I said as a red convertible left the lot. “Nwo wone said it whould bhe eashy,” I heard between an unexpected slurred chewing noise. nothing more in that otherwise empty pavilion than the shattered glass and a scrap of moist paper. There lived a single girl of no historical significance naught but seven-hundred years ago, during the days of the iconoclasm: an event that shook the foundation of Christianity to its roots and it attempted to quell people's belief in the power of sacred relics and artifacts. A Russian by birth living in the streets of Rome, the young Serafima had left her blight and plague torn home following bands of nomads and travelers willing to give her scraps of bread in exchange for an honest day's work. And while she herself was a fairly honest child, she found what it truly meant to be so desperate that even the kingdom of heaven paled in comparison with the opportunity to be able to buy but a single loaf of bread: a monk from Greece was had tripped and his purse flew across the alleyway to where the young girl found herself barely able to move. Grabbing the purse—feeling the weight of the coins concealed within—the young maiden dashed off with a sudden surge of vigor. Propelled only by the hope of a full belly, she found herself going easily half a mile before her body again reminded her that sometimes hope wasn't enough. She found herself hiding under a stair-case listening to rumors fly across the neighborhood concerning the theft. This was no mere purse; within the bag contained a sort of sacred relic. And if she was found with the coins, she was undoubtedly be punished. But if she could hide them...she might be able to feign innocence. And so, her mind being anything but sharp in her delusional hunger, she found herself quickly devouring the thirty silver coins a mere five minutes before she herself was found by the guards: the noise having tipped off the home owners who called them over to investigate. She was given no trial. Not even an inquisition. The coins were considered stolen. Used. Lost. And given their original fate was to be melted down and hidden in the Vatican until the end of the iconoclasm, the church itself cared not for their spiritual worth and the pittance wasn't worth executing the young girl over. But still the stories had already gotten out—and if she wasn't punished it would be like opening the doors of every church in the world to every begger and thief who thought they could get away with it. And so Serafima found herself burnt at the stake alongside four others charged with forging relics and selling them on the black market. But while they were consumed in both spirit and body, Serafima found no such solace. For as the flames crept up the wood and hay she, for the first time in her life, felt something unlike anything else she had felt before. And so left the girl. And so came the beast. 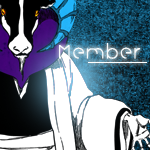 A beast whose memories only lie in the ascended Arrancar in the form of screams of terror and foul curses. For the next twelve years of the girl's existence were but a blur of carnage and mayhem in the sands beyond the Mediterranean. Until, that is, she found both sentience and purpose among the Syrian Hassassins and their leader: the Old Man of the Mountain. Serafima was picked by the old man en-route from a job. Thinking she was nothing more than a lost slave, he took her in as his own: raising her amongst his other children whilest teaching her the ways of his order. And it took very little time for the natural-born killer in the arrancar to make itself known to the order—who found themselves sickening curious in the young girl's potential as a weapon against one of their most hated foes. An adversary who fought the Islami sect using powers far beyond their own and magic that they found themselves unable to conquer. And so, after ten years the ageless entity, thought by then to be part Djinn, was sent back again to Italy in an attempt to assassinate a high ranking bishop who controlled an order in the Church that protected caravans, merchants and pilgrims crossing the region previously controlled by the Hassassins and the Nizari. Unfortunately, neither the Hassassins nor Serafima were able to predict that her memories would flood back—nor the emergence of a sudden unstoppable frenzy within the walls of the Vatican itself that would take six guards, twelve exorcists, five quincy and the bishop himself to stop. Serafima found herself sealed away in a vault intended for foreign demons and spirits. For 650 years the arrancar would struggle against her bonds hopelessly, occasionally conversing and even learning or training with the thoughts and memories of the foreign spirits around her. And while accumulating a vast knowledge of the world from outside the damp cellars of the cathedral, she still knew that she had lived both a life and an afterlife thus-so-far unexplored. Unexamined. And largely wasted. And then the strangest thing happened: the sealed on the stone encasing the spirit of the arrancar broke. Her anti-magic field, present but ultimately extraordinarily weak, had managed to seep out even before she got a hold of her resurrecion, and had slowly corroded the seals holding her back after so many centuries. 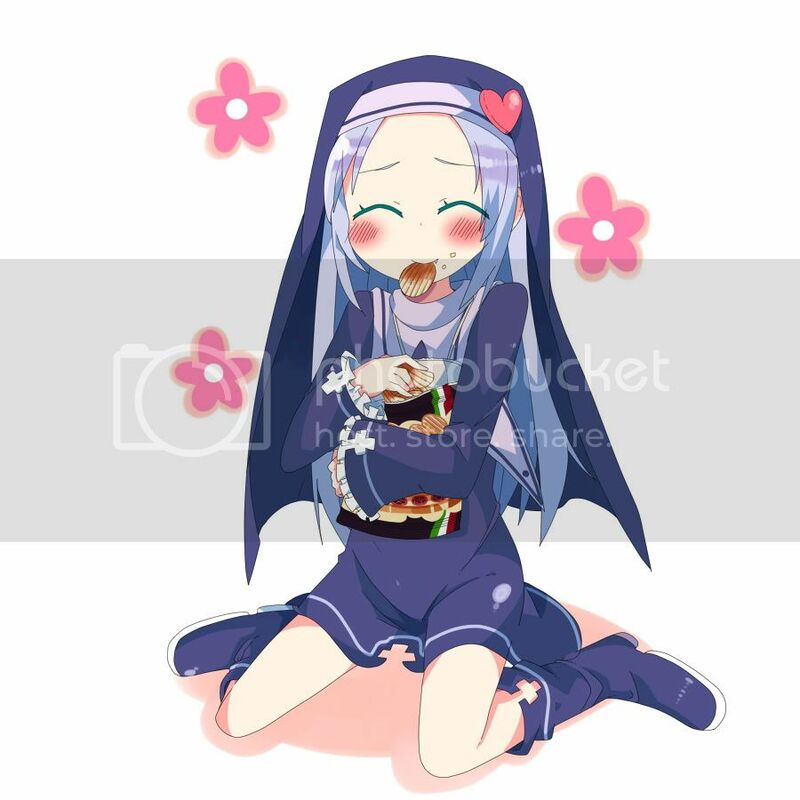 And so the young arrancar found herself alone in the deepest cellars of the vatican amongst some of histories most sacred relics: hungry and with a seemingly inexhaustible supply of “food”. It took four hours before she was found out—during which time she had devoured, destroyed or otherwise ruined nearly seven hundred and forty three relics, artifacts and priceless treasures from across the world. And during which time she had managed to evolve to something greater than she had ever been: a fully fledged arrancar with both ressurecion and zanpaktou. With both power and will. With both memory and obsession. She slew twenty three A-class exorcists before she was stopped—their magic made useless by her powers until their commander, Fr. Oberstein, shot each of her thirty coins out of the air before the swift arrancar was even able to cross the basement at the approaching gunslinger—and then pressed his most powerful hand-cannon to her head and let loose a shot that would again seal the arrancar. Curious and Friendly: Unless distracted by another trait or you hit one of the things that will just cause her to hate you, Serafima is quite a friendly person to speak too—if you can get past how strange she acts around anything even remotely religious, of course. Independent: Serafima firmly believes that people are weaker if they rely on intangibles. She has great respect for people who rely on their own strength, knowledge and skills and don't rely on superstition, magic, belief or faith. See the first negative trait for more information. Physical Tolerance: She has been found able to withstand extreme natural heat, exhaustion, hunger or even eating things that shouldn't be considered food without any permanent damage. Tactical: Even in a blind rage, Serafima's training both before and during her time sealed helped her learn of tactics beyond that of most spirits—moves and situations that let her take advantage of her surroundings without relying on any supernatural powers. Patient: Despite her oftentimes immature attitude, she is actually a fairly patient person. Even before she was sealed for so many hundreds of years she was trained as an assassin and learned the importance of waiting. Cheery Disposition: What else is there to say except being an assassin is really easy if your just a happy little girl without a care in the world. Friendly: Serafima will actually form long lasting relationships with humans or even ghosts without completely explaining what she is to them. While she has yet to have one where she would actually risk losing something (even a sensation) over them...its entirely possible. Independent: Serafima will even go so far, however, as to hate people who get a certain level of power and help others as it causes those without exclusive supernatural powers to rely on those who have them and creates an unnatural imbalance in the world. Hungry: Serafima will find herself hungry quite often...and can be a bit of a biter if teased about it. Sacrilegious: Serafima can't resist but destroy everything and anything Sacred she finds in the world. From religious artifacts and icons to simply money—if someone relies on it and puts an intangible value upon it, she will take great pleasure in destroying it. That being said, items that are viewed as both sacred and anti-sacred, such as money, will frequently (but not always) leave a bad taste. Gluttonous: Her favorite method of destruction? Devouring the object. With what can only be described by onlookers as a cast-iron stomach, Serafima will greedily devour sacred objects and, if left unable to find any for a long period of time, will do almost anything to get her hands on one. Anti-Magic: Serafima is unable to use most of the supernatural abilities spirits rely on. Berserker Button: There are a few things that'll set the normally fairly patient Serafima off, aside from people who are obviously too reliant and willing to be completely reliant on spirits and gods: The Roman Catholic Church, someone threatening to seal her and people who begin to worship her. There is a blue scorpion tattoo on her back under her left shoulder-blade, signifying her allegiance and nickname amongst the Hashassins. 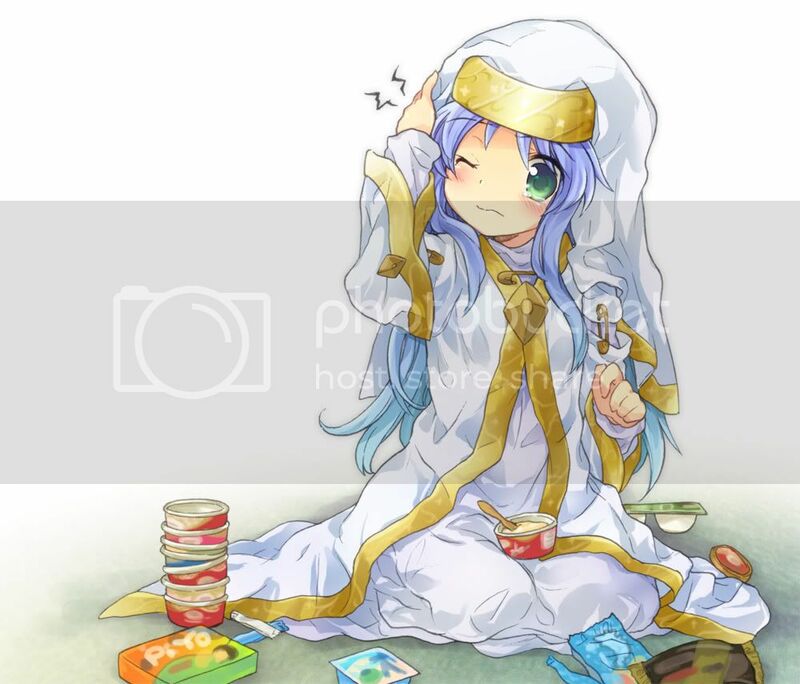 Sera is frequently found around Churches and Temples, devouring whatever random goods she can find while desecrating random parts of the church until she catches the attention of those who try to drive her out. Defending the place as though it were her home would itself show a sign of reverence towards the territory—thus being a taboo to her. She doesn't really actively consider the difference between the sacred and mundane or philosophize about her stance much. The theories might be fairly complex but they are based in ideas that are ridiculously simple to the fairly simple-minded child. She spends more time on earth than most Arrancar given her inability to use a Garanta and the lack of “food” for her in most of Heuco Mundo. It causes her to destroy whatever it is that people find sacred. Devouring a watch your dad gave you? Delicious. Snapping your zanpaktou in half? Delightful. Peeing in your gintou-tubes? Glorious. She practically lusts after the idea of desecrating whatever it is that is more important to others. But she does like being with people. Which is a problem since everyone has an intangible connection to some material possession. What gets worse though is that if someone else begins to idolize something she enjoys she will have an overcompulse urge to destroy it and ruin whatever about it other people find sacred and good. To sum her up in one catch-phase: "This is why we can't have nice things." Sealed form: Sealed the zanpaktou takes the form of chains wrapped around Serafima's body and coins that are inside her bottomless stomach. The silver chains are usually quite tarnished and are surprisingly small, being easily concealable under her robes. Resurrección: The chains that compose Serafima's zanpaktou detach, flash in a bright silvery light and fly in every direction to a radius equal to her Spirit in meters. What remains is a circle of coins suspended in a circle in the air forming the inner radius of an invisible sphere around the young arrancar that extends roughly three feet beyond the distance of the coins. She may move within the coins freely and may even move the coins mentally around her so long as she never leave its radius. If Sera is tossed out of the radius, the radius will move with her as soon as she reaches its outermost edges. While there are no immediate visual hints as to the sphere's existence, anyone with Reiatsu manipulation advanced or higher can detect the lack of reiatsu in the area if reiatsu at one point existed. Abilities/techniques: The first passive effect of the zanpaktou is, simply the manipulation of the chains to be used as a whip, striking force and/or shield around the young girl as she fights. The second effect deals with the coins--The sphere itself nullifies the effects, creation and use of reiatsu and reishi within its boundaries. While spiritual beings can continue to exist and certain racial skills will continue to function, most zanpaktou, resurrección, molecular overdrives, shunpo, schneider, quincy bows, fullbrings, kidou, hollow powers and even magic items will cease to function within the field. Anyone capable of manipulating reiatsu will immediately notice this. Attempting to activate anything negated by the field within the field will cause a violent backlash--mental abilities and physical buffs will be replaced by visions of the most sacred in the user's mind breaking and being destroyed whereas more concrete powers will both fail to function and oftentimes violently explode on the user. The field can be destroyed, however: by simply destroying the 30 coins that made the field. After reading the rules more thoroughly I see that "negation" abilities are banned. If there can be an exception given the backdraws this character faces, I'd appreciate it. But I don't expect any kind of special treatment. 1. Sera cannot exceed "feeble-" on resistance, kidou or reiryoku. She will pay the points as though she had "feeble", but she will be considered to have a tier lower than "feeble". 2. Sera can never use Garanta, Hiero, flight, Cero, Kidou or any magical items. This includes when her zanpaktou is not released. They just don't work. Items simply don't work with her--as her null-reiatsu is always stronger than her reiatsu. She also cannot detect reiatsu, except by scent (which only lets her find people at extraordinarily short ranges). 3. Sera's abilities can never negate summoned creatures, the innate properties of spiritual beings (i.e. "I am a shinigami and stronger than a human), the existance of other physical forms, the after-effects of spiritual attacks (i.e. the wind displacement of a fireball or the momentum of a truck hurled at her with a wind sphere) or Regeneration. 4. Sera can never have a technique that negates flight at a range. She is completely vulnerable to the "fly away" tactic once you get out of the range of her sphere. 5. While she has no reiatsu signature, people can still detect her very easily if she's near any other living beings as she tends to show up like a black spot. This makes it almost impossible for her to hide in a crowd...or even a forest or field. 6. Finally, she may act smart but she ultimately can be taken out by tossing some jingly keys down a sewer drain. If you can find some new sensation for her to experience, she'll be at your beck and call. I put this last because its not so much a mechanical flaw as a hope that you know that I'm honestly not trying to "break" your game or anything! Serafima wrote: After reading the rules more thoroughly I see that "negation" abilities are banned. If there can be an exception given the backdraws this character faces, I'd appreciate it. But I don't expect any kind of special treatment. Firstly, the system IS changing and thus so will the rules. However, here at BtiS, we appreciate...no, we LOVE it when players place arbitrary limitations and drawbacks on their powers. If we are shown a player place limitations on him/herself, we go bonkers. With that said, based on these limitations (and if you are willing to tweak her abilities post overhaul), I don't see any problem with this power-set. That's what I've been trying to get across to everyone. ^^ But yes, flaws create the most interesting interactions.